New MacBook Pro owners may want to start looking into word processor alternatives due to issues viewing Microsoft Office 2011 on a retina display. Microsoft updated its Office for Mac blog last month with a post announcing that the program is read for Mountain Lion. Since then, users filled the comments on that post with complaints about how it looks fuzzy, blurry, or otherwise unusable on Apple's sharper screen. A member of the Office for Mac team has now responded to the comments, though the response is not quite the answer Mac users wanted. "Outlook for Mac 2011 already supports Retina Display and the remaining apps will have the same viewing quality as on any non-Retina device," the representative said. "Unfortunately at this time, we cannot comment on any future updates regarding supporting Retina on Word, Excel or PowerPoint." Similar blurriness issues were seen on many web pages when Apple first launched the retina display-equipped iPhone 4 in 2010. Lower resolution images tend to look blurry on the retina display's higher pixel density. This is not an issue for text on the web, since fonts are processed through the web browsers that support retina displays. However, fonts in Office are processed by the program itself, and if the program doesn't play nice with retina displays then the result is muddy text and disappointed users. 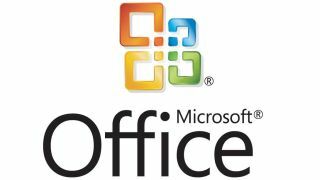 Microsoft is currently gearing up for the launch of Office 2013 on Windows, but there is no word on a Mac version of the new suite nor an update the existing version. On a completely unrelated note, Apache's Open Office is free and reportedly supports retina displays quite well.